Some BF PCVs put together some practical how-to videos about learning language and using latrines. Now you know. Be sure to at least skip ahead to 1:35 for some awesome demonstrations of non-language communication. Check out PCV Halley Brus’ educational songs on hand-washing and on vaccinations. 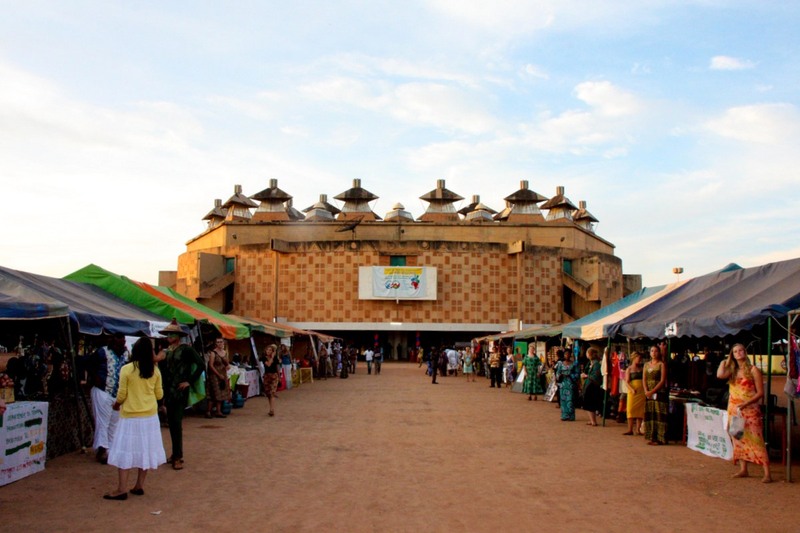 The bike tour arrival and new volunteer swear-in were the kick-off events to a three day anniversary fair held in downtown Ouagadougou. The fair had a lot of booths (many of which were PCV partners), information sessions, music/dancing, a fashion show, and even American carnival games (including a dunk tank). Speeches by the Burkinabe First Lady, US Ambassador, and PC Country Director were followed by a concert by Floby, one of Burkina’s biggest music acts to close out the festivities. Check out this video and some of my photos from the fair. Fellow PCV John is out with a new video to commemorate his one year mark in Burkina (I’m at 9 months myself). Check it out, and see out how green it has become during rainy season.